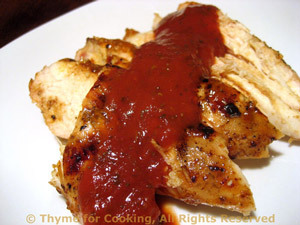 Grilled Chicken Breasts with Pimento Sauce, quick, easy gourmet recipes. 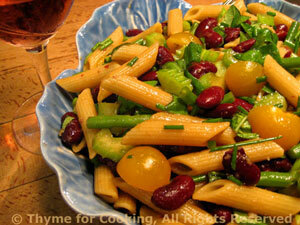 With leftover Pimento Sauce and Pasta salad - another easy summer dinner. If you need to make it: Put all ingredients for the sauce in a blender and purée. Add Tabasco if you like it hot.